Wim Wenders’ decision to produce the Georges Bizet opera The Pearl Fishers has an emotional back-story. When Wenders was 33 years old, the film producer Francis Ford Coppola invited him to come to the USA and make his first American film. Wenders already had a string of self-made, cinematographically charmingly fresh films behind him when The American Friend became his breakthrough onto the international stage. Alongside Rainer Werner Fassbinder and Werner Herzog, Wenders was the third biggest name in what was known as the New German Cinema. Full of ambition, Wenders headed off to conquer America. Wim Wenders listened and cried. Then he played it again and again. This record kept him alive for two years, and when he was packing his bags to go back to Europe, the owner of Tosca gave him the record as a farewell gift. Even now, scratched to high heaven, the record sits in Wenders’ Berlin apartment. Thirty-seven years later, the conductor Daniel Barenboim calls up Wenders, declares himself an admirer of his, and asks if Wenders would like to put on a co-production at the Berlin State Opera – with his choice of material. Wenders suggests The Pearl Fishers. Truth be told, at the time, Wenders knew only the music from the opera, which he found utterly wonderful. Once he had read the libretto, its naiveté was a bit of a hard pill to swallow for him, but he made himself thresh out the clean core of this romance-novel-like story so that it could address a modern-day audience. The global wandering of loners to the ends of the earth – this has always been a tangible mainstay of Wenders’ films. Today, when Bizet’s opera Carmen is performed across the globe (several of its musical motifs are recognized by even those without the slightest interest in opera), there are few who are aware that the work’s composer was one of the most tragic figures in the history of opera. Bizet died at the age of 37 – according to several historians, from a broken heart. At the time of his death, he had yet to receive any recognition from either his peers or the public...except for Hector Berlioz. 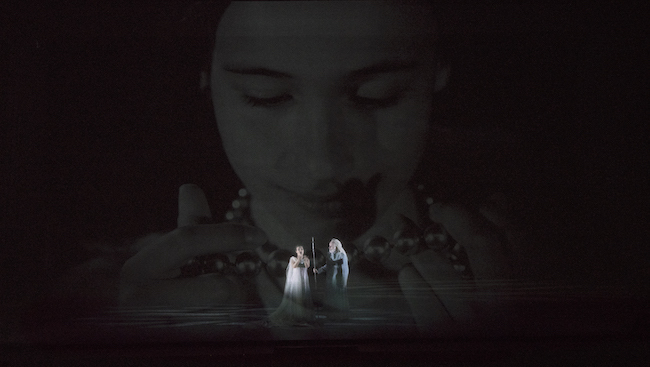 When The Pearl Fishers premiered on 30 September 1863, at Paris’ Théâtre Lyrique, Berlioz publicly praised the twenty-four-year-old’s opera, emphasizing its imaginative richness in terms of melodic composition. The critics, however, deemed it “too loud” and “too rich with color”. The production was performed 18 times, which was rather profuse for the time; at the turn of the century, the opera was one of the most popular on the repertoires of opera houses, but then it sunk into obscurity. Even today The Pearl Fishers is rarely performed. At great fault here is the weak story that the authors of the libretto came up with, and then foisted upon the inexperienced composer. In the beginning, the story was to be set in Mexico, but then it was nonchalantly switched to an island in the Indian Ocean – Ceylon. 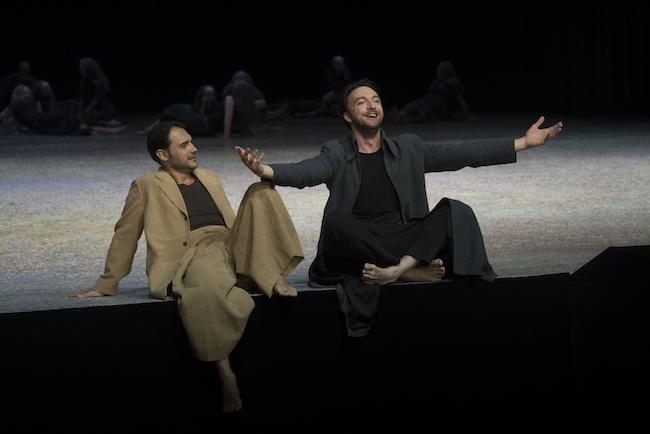 The libretto was first titled Leila, and at its center was a woman with whom two friends had both fallen in love with – Nadir (the tenor) and Zurga (the baritone). In order to keep their friendship, they swear to one another that they will renounce their love for this woman. After several years, when they meet again, the woman reappears. Leila is a priestess who has a direct connection to the island’s higher powers; she prays to Brahma for the safety of the pearl fishers. For this link to the gods to work, the priestess must retain her purity and innocence. But she, too, has fallen in love, and has decided to be together with one of the two friends – Nadir. Having found out about this betrayal, Zurga vows revenge and convinces the fishermen to burn the treacherous pair on a pyre. As Leila is being taken away, Zurga notices her necklace and realizes that she was the young girl who once saved him from death when he was a fugitive. Zurga decides to save the pair and sets a fire to the fishermen’s village. Everything ends relatively well...if one doesn’t count the destruction of the poor fishermen’s homes. How can this story be told today? One can’t help but imagine that other modern-day German directors would have retold the story as a full-blown love triangle from all three sides. Not only would the two men be in love with the same woman, but they would also be in love with each other. And then the dramatic composition would change – in terms of the characters and their emotional loads – and the tension would certainly climb twice as high. Of course, that would also get rid of some pesky questions, such as – What kind of a friendship requires one to forgo love? In addition, this sort of approach wouldn’t even conflict with Bizet’s score because, in a purely musical sense, true love can definitely be heard in the two friends’ relationship. Wenders, however, sticks to a platonic male friendship that self-righteously sacrifices love so that, by going through a journey of doubt and suffering, one’s ego can be suppressed. With his characters, Wenders has decided to concentrate not only on love, but also on the hard road of friendship, regardless of how simple a definition of human relationships the original libretto may put forth. 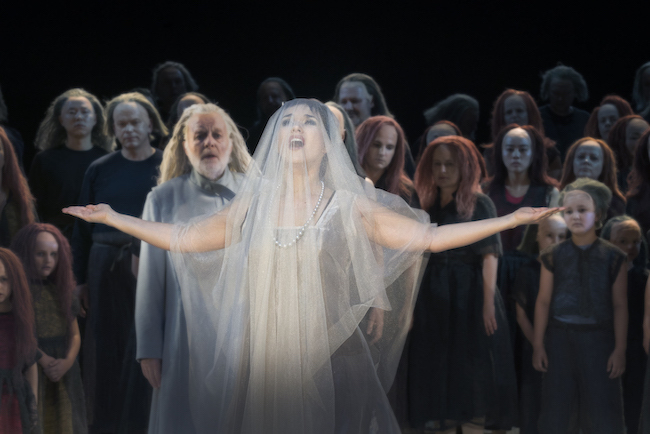 The Pearl Fishers is Wenders’ debut in the genre of opera, and the international attention that the production received on its premier on 24 June was considerable. After all, Wenders has received the Palme d’Or at Cannes, the Venice Film Festival’s highest award – the Golden Lion, Best Director at the British Academy Film Awards, and an Honorary Golden Berlin Bear at the Berlin International Film Festival. Three of his documentaries have been nominated for an Oscar. Several days before the opera’s premier, The New York Times even published a lengthy article on the director which recounted his recent Berlin press conference. It should be mentioned that The Pearl Fishers is not Wenders’ first attempt to work with the medium of opera. 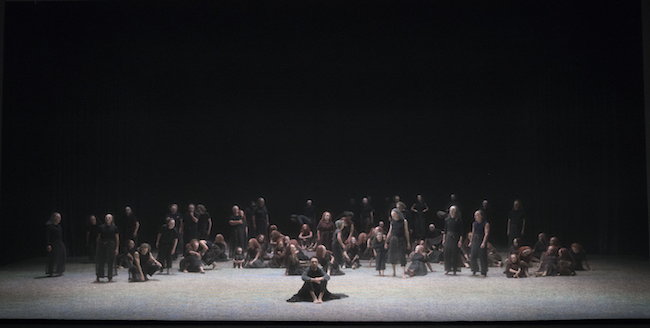 In 2013, together with Péter Pabst (the long-time scenographer for the legendary dance artist Pina Bausch), Wenders was set to direct a four-part production of Richard Wagner’s opera The Ring of the Nibelung at the Bayreuth Festival. Due to financial issues, among others, the plan with Wenders fell through. This time, with the objective of definitely getting the opera presented to the public, Wenders was sure of only one thing – neither cinematic nor video projections would be involved. If he is to attempt to do something that he doesn’t know how to do, and which is specifically why it is of interest to him, then he will not use any tried-and-true techniques. This is what Wenders told the press just a week before the premier. He also said that the production will be modern, but not trendy. What is trendy today? First of all, updating the story by bringing it into the modern day. And putting into it all sorts of things that don’t have much to do with the opera’s original version. Or, for instance, the way that the New York Metropolitan Opera has produced The Pearl Fishers. Penny Woolcock’s 2015 version became a hit in New York; it was also filmed and can now be purchased on Blu-ray Disc from amazon.com. Wenders watched the first 20 minutes of the recording and decided that this was not the way that he was going to go. How can one serve the music? Which way did Wenders go, then? As the director says himself – in serving the music. In this case, that meant a minimalist execution. In his production, Wenders has deliberately chosen to not pinpoint a certain time or certain country in which the events take place. It is a time of legends in which we hear the music of Georges Bizet and the story that this music tells. As compatriots, Wenders chose the landscape painter David Regehr and the light artist Olaf Freese, who created a huge, sloping shoreline on the stage – but without any real sand; instead, lights create the feeling of sand. The figures on stage were dressed very elegantly and modernly, but you can be quite sure that you won’t see anyone in real life dressed exactly in the way that costume designer Montserrat Casanova came up with. One could even say that she was inspired by Wim Wenders’ own sartorial style of wide, loose-hanging fabrics. Wenders’ opera begins like a film. Subtitles appear on the huge mouth of the stage as we hear the first beautifully nuanced notes of Daniel Barenboim’s conducted music. Barenboim has said that very careful and skillful work is needed here in order that the music’s elegance can be heard without it becoming stuck in sweetness. Along with the start of the music, a transparent screen features the name of the composer, the title of the opera, the name of the conductor, and the actors and their roles. Completely uncharacteristically for these days and times, the director’s name is nowhere to be seen. The first image we see is a projection of gigantic swelling waves. Water whose depths contain much. Including this story. Wenders has not kept his word about not using the language of film and video. Once he actually started working on the project, perhaps he understood that without having any experience in using the tools of theater, he couldn’t actually do anything. In his hands, they were powerless tools. The New York production irritated Wenders in the way that it made the set staging primary. So Wenders attempted to do his staging by stepping aside. But in opera, this is rather impossible; to have the director “do less” is not a solution. Because then a hugely powerful presence – the choir – is invariably left helpless. In the case of the Berlin Stage Opera, these were eighty-three people who were left helpless. Subsequently, the singers are left with having to rely on the devices of gestures, i.e., “waving their arms around”, in order to get across to the audience their emotions and their journeys of soul – their attitudes toward life, the world, and the situations they find themselves in. Wenders tries to honestly stay true to the naive libretto in his production. A story about two friends who loved one woman and, in the name of friendship, swore to stay away from her. And about love, which cannot be held back or controlled through seemingly prudent agreements. Wenders proposes that we look upon the opera not as a tautly-wrought field of intellectual thought, but as the last large utopia left in art – a space for clean and pure emotion that spurs the cleansing and enlightening of the human soul. Wenders forms his version of The Pearl Fishers as a fairy tale that takes place somewhere far, far away and long, long ago. The opera begins at the point where the two friends meet up again after a long time apart. As they reminisce, the director uses black and white video projections. The stage is slightly larger than a cinema screen, and the energy emitted by the images transfers the viewer’s perception to a different time zone. The large portraits are naive and magical: a beautiful woman in white – here veiled, there unveiled; the faces of two innocent, young boys – friends. A moonlit night, fleeting clouds, swaying palm fronds – the performance is chock-full of landscapes. They are images from another time, as poetically fanciful as Georges Bizet’s music. And completely untypical for today’s German theater. To work with these kinds of images is actually quite daring, and probably something that only Wenders could get away with. Because everyone knows that if you do something like that in Germany, you will, without a doubt, be branded as a master of kitsch. And so it was – every single review of the show in Germany’s largest newspapers lamented on this factor. But Wenders doesn’t care. He’s trying to find a way to put up on the stage an exquisiteness that can equal that of the music. And he looks for it in images. Having begun his creative journey as a painter, and having continued on it as a film director and photographer, Wenders says that he knows everything there is to know about images. But not about those of the opera; in his production of The Pearl Fishers, he is still looking for the way to get there. 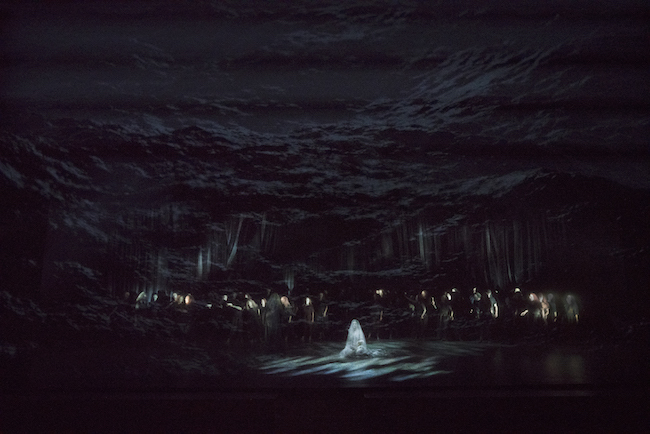 The production has an abundance of video projections featuring water. These images of water give power to Wenders’ story. And they’re not just of the kind that give soft, romantic coloring to warm southern nights. Huge, destructively heavy masses of water also enter the story; as does the view of the diver as he enters the lightly playful depths, leading the viewer to enter the world utterly unknown to him or her. In this production there are two moments that make you realize that it has been made by a great, world-level artist – even though Wenders is only at the beginning of his journey into the operatic arts. These are the Wenders-created images in which he has achieved more than just the meeting of theater and video in one space – something which has already been done in hundreds and thousands of other productions of our time. There are no pictures to print of these images because it’s technically impossible to photograph them. But because of these images – and because of Daniel Barenboim, his orchestra Staatskapelle Berlin, and the excellent singers – Olga Peretjatko/Mariotti, Francesco Demuro and Gyula Orendt - it is worth going to Berlin in 2018. Having capitulated in front of the “large beast” (as Wenders himself has referred to the opera choir), and having capitulated in front of the naive libretto (which failed to inspire Wenders in creating even one idea that would catch the interest of a modern-day person), the director has, nevertheless, created something unusual. If even for a short moment. And these are Wenders’ multi-layered images. 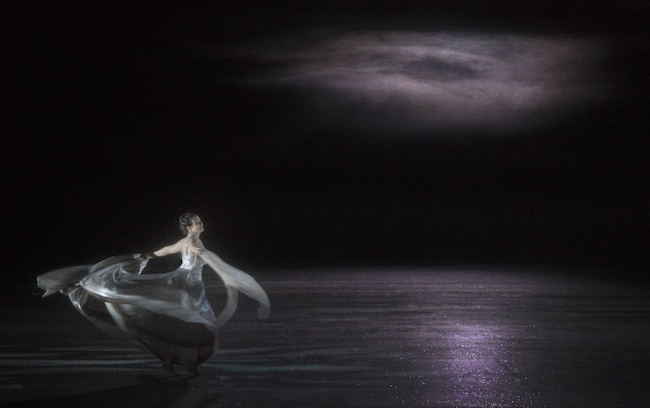 Having spent a long time working with 3D technologies in order to break into a cinematic space that provides a different visual experience, Wenders’ imagination and technical ability to execute this in the field of opera really does open new doors. However, in terms of performance length, this doesn’t last long – perhaps for five or ten minutes of an almost two-hour-long opera. Yet in these few minutes, Wenders has managed, in some sort of imperceptible, unintelligible way, to create surreal, poetic visions in which lights, video projections, and the singers meld together in an unprecedented visual experience of beauty...one in which water, with great force, swallows and sweeps away everything that just happened...yet preserves human warmth with a strange gentleness. 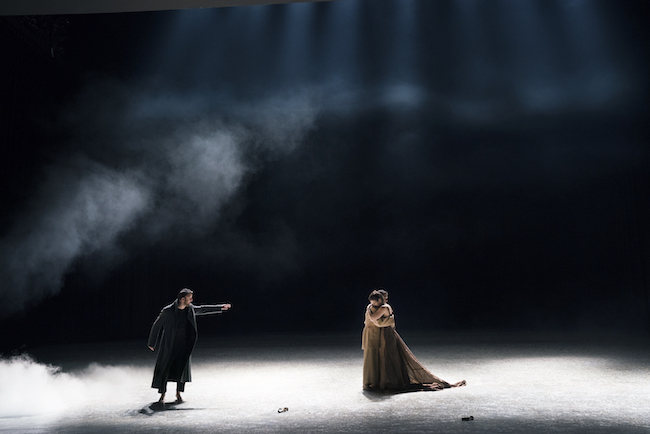 Wenders provides a surprising theatrical experience at the close of both the second and third acts of The Pearl Fishers; having gone through it, you can only sit there, rub your eyes and wonder – did that really just happen, or did I imagine it? And what was it?